Please fill in the short form below with your question, either about the Hondex HE-7380 Multiple Beam, or for some technical advice. Please include details of your vessel if you feel they will help us answer your query. 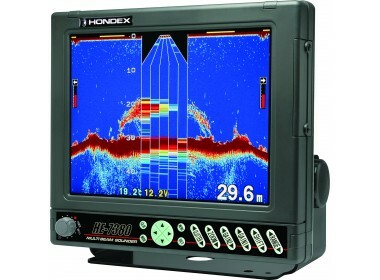 Echomaster Marine are pleased to introduce the Hondex HE-7380 10.4" LCD Colour Multiple Beam Echosounder. The unique echosounder will provide a footprint at least 5 times bigger at 200kHz, making it excellent for shallow water. The HE-7380 is capable of searching a wider area up to 50 degrees at 200kHz in real time mode, with 5 beams in 10 degree steps. 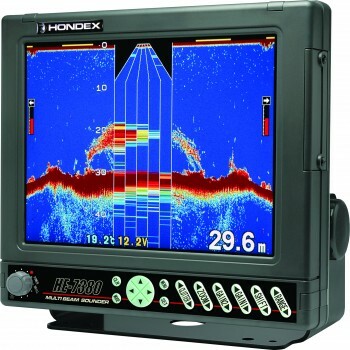 With the ability to set your display to show both the left and right side as well as the A Scope, you are able to see at a glance where the fish are in relation to your vessel. The HE-7380 transducer also comes with a powerful 1.5kHz 50kHz Transducer ideal for deep water. 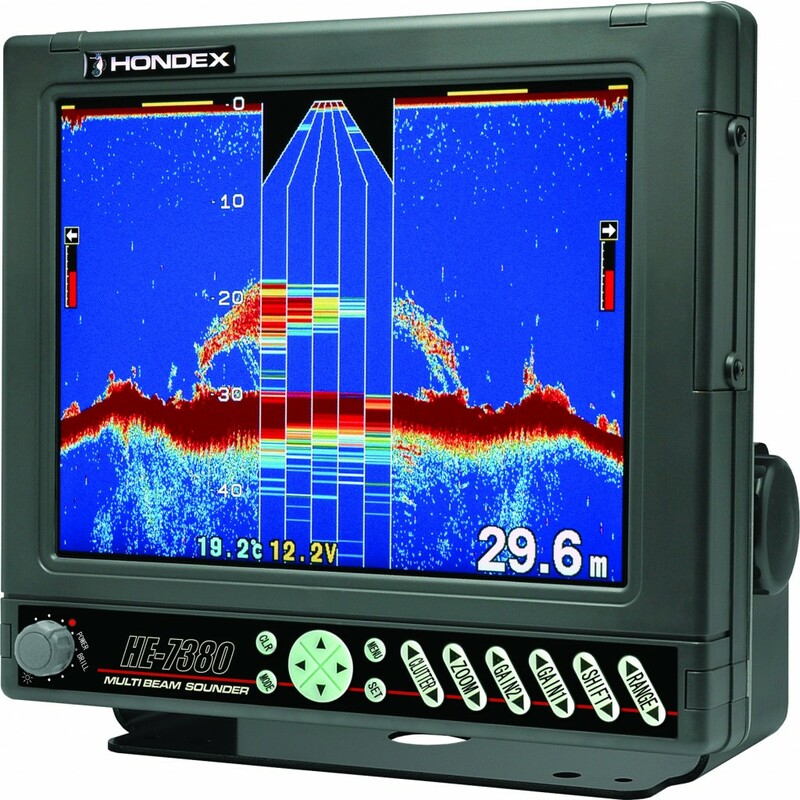 The HE-7380 is a unique and affordable Multiple Beam Echosounder ideal for those fishing in shallow water, such as Mussel Dredgers or Smaller vessels fishing for Anchovies, Sardines, Sprats, Herring and Mackerel in Shallow Water.